I quite like the contrast between the dark mountains and the light shore and cottage. 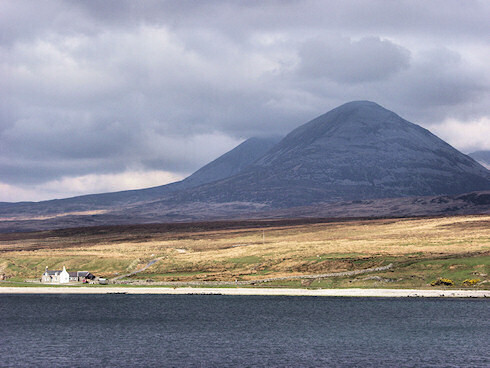 The ever changing weather on Islay and Jura. As usual I will post a larger version (larger as in more than twice as big) on the Islay Pictures photoblog on Saturday morning, in case you would like to see it in even bigger.